A 24-hour TV Satellite broadcast of Cuban audiovisuals will be reaching the US audience on the CubaMax TV channel following a joint accord reached between the Cuban Radio and Television Institute and Dish Network TV. 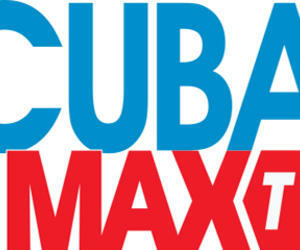 Cuba Max TV is on the air since Thursday, backed with its Sling Internet platform as well. Dish Network is a Spanish-English TV provider in the US market. CubaMax TV programming will include Cuba-made features in HD for several thousands of clients at times when the island is at the center of attention of the US people, given the ongoing process towards the normalization of bilateral relations. RTV Comercial, a company under the Cuban Radio and Television Institute, will pick the TV products for the new channel and it has already chosen films, detective series, environment-related documentaries, music shows and entertainment features. A group of actors, musicians and directives flew to the United States to launch Cuba Max TV, including the general manager of RTV Comercial Joel Ortega, and the renowned comic artist known as Panfilo, whose show was visited by President Barack Obama during his visit to the island.